The 4GLTE network boasts expansive coverage and faster speed as well as higher capacity with enhanced mobile data services. FLOW's 4G LTE will allow smartphone users to fully unleash the power of their smart devices and truly experience the amazing data processing power of their phones. LTE (Long Term Evolution) is a 'fourth generation' (4G) mobile service which will enable our customers to access their mobile data at far higher download speeds than previously available. Browsing the internet, downloading files and streaming videos will be faster than before. An LTE Compatible Device: 4G LTE smartphones link up to FLOW's 4G LTE network, handling data and processing information faster than the previous 3G network. An LTE sim card - Our 4G LTE sims give you quicker access to the network, so you can enjoy all the benefits of 4G LTE. Come into any of our stores and swap your sim. The latest software for your device - To enjoy 4G LTE you will need the latest software on your smartphone. It is always a good idea to keep your software up to date to get the very best from your smartphone. A FLOW Data or Combo plan – activate any of our prepaid data or combo plans or our postpaid LTE plans & start enjoying the fastest network! What is 4G LTE Advanced service? 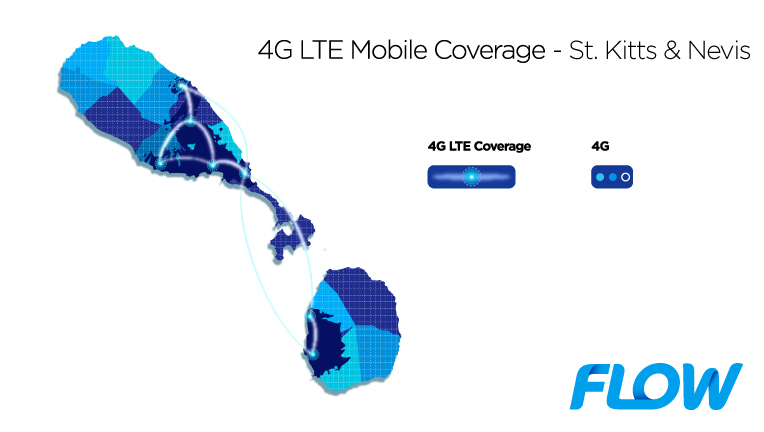 FLOW offers its customers a LTE Advanced service. LTE Advanced is a next generation network technology offering superfast speeds, improved network coverage along with consistent data speed rates, and enhanced network security. LTE Advanced offers speeds up to 100% faster than regular 4G LTE service. How is LTE Advanced different from 4G LTE? LTE Advanced is the next major step in the evolution of our LTE network, providing you with a more advanced and enhanced set of standards and technologies and a true 4G experience. LTE Advanced gives you a lot more speed and is up to 100% faster than 4G LTE service. LTE Advanced offers speeds up to 200Mbps. To find out more about our 4G LTE Advanced service, read our FAQs here.